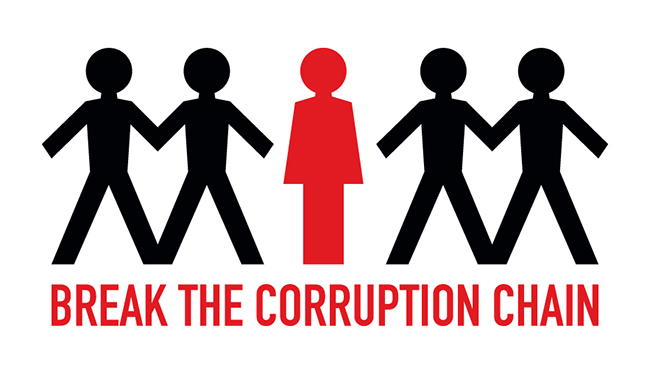 Today, on 9 December, the global community celebrates the International Anti-Corruption Day. This date was designated by the General Assembly of the United Nations after the adoption of the United Nations Convention Against Corruption on 31 October 2003 to raise awareness of the destructive effects of corruption and of the role of the Convention in combating and preventing it. Corruption is a widespread problem around the world. It is a complex social, political and economic phenomenon that affects people negatively in different ways all over the world. Corruption undermines democratic institutions, fundamental values of human rights, and the rule of law. It jeopardizes sustainable economic and social development and leads to political instability and grave violations of the basic rights of individuals. It is generally recognized that corruption is a huge problem in Ukraine as well. Therefore, support and advice to Ukrainian authorities in the fight against corruption is a crosscutting issue of EUAM activities. EUAM has supported the establishment of the National Anti-Corruption Bureau of Ukraine and continues to provide technical assistance. Mission representatives also closely followed the selection process of the Head of National Anti-corruption Bureau of Ukraine and its detectives ensuring its transparency and impartiality. EUAM aims at facilitating interaction between governmental actors and civil society in anti-corruption activities, organizing roundtables and workshops that gives possibility for mission experts to share European experience in fight against corruption. Anti-corruption reform is an engine for general reform efforts in Ukraine. EUAM strongly urges all Ukrainian official bodies to sustain and strengthen efforts in the fight against corruption with the aim to show results and achievements very soon. EUAM reassures European commitment to continue support for anti-corruption reform and a sincere and non-compromising line against corruption in Ukraine.